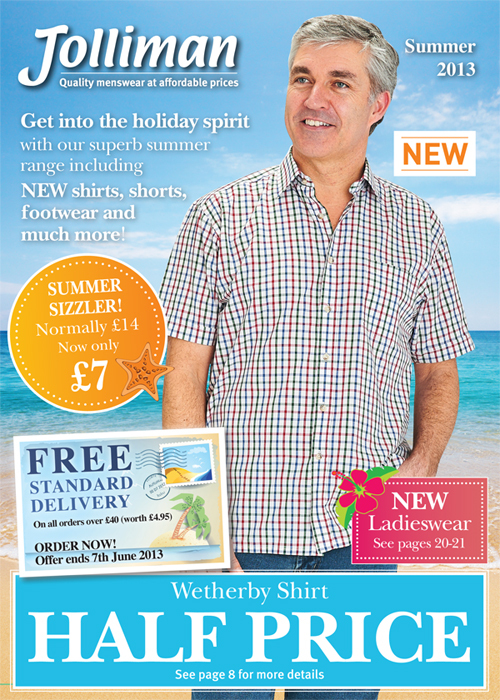 Jolliman Clothing - Quality Menswear at Affordable Prices : NEW Summer 2013 Catalogue is OUT NOW! The Jolliman Summer Catalogue is OUT NOW! Get into the holiday spirit with our superb summer savings and lots of new products. And best of all we're also offering FREE Standard UK Delivery on all orders over £40. To take advantage of this amazing offer, simply shop online at www.jolliman.co.uk/930 or enter promotional code MT930 to your basket.